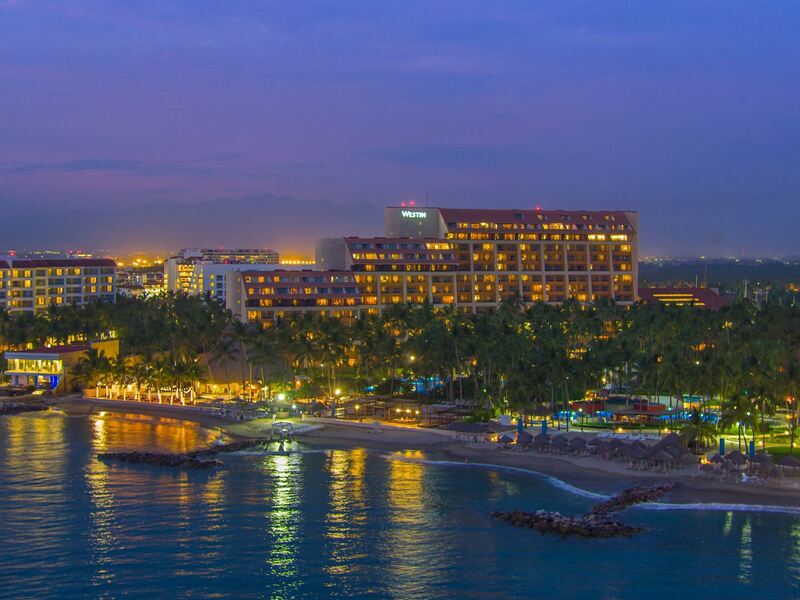 The 48th Annual Symposium on Bat Research will be held at the Westin Resort & Spa, Puerto Vallarta. This exclusive resort located on 6 hectares overlooking the Bay of Banderas is 1 km from Marina Vallarta. The elegant rooms each have a television, Wi-Fi connection (free for symposium attendees), minibar and coffeemaker; most have sea views. Upgraded superior rooms and suites offer access to a lounge with breakfast and free drinks. All rooms have balconies, and some whirlpools. Room service is available 24 hours a day. The private beach has cabins (for a fee) and a club with a grill. There is also a restaurant with a rooftop terrace and a lively bar in the lobby. Amenities include 2 free-form outdoor pools (1 with a pool bar), a gym, and a kids' club, as well as sports courts and a spa offering oceanfront massages. The average minimum and maximum October temperatures are: 68°/90° F (20°/32° C). Room Rate: $130+tax (single/double). This rate is also available for three days before and after the conference for those arriving early or staying late. Check-in time is 3:00PM and the checkout time is 12:00PM. *Tax Exemption Policy: If you are a foreigner (non-Mexican national) you may be eligible for a reduction of certain taxes. We will inform all registrants via email of the details on how to avail of this prior to the conference. Make a Reservation: Call +52 (322) 226-1100 or +52 (322) 226-1136 (use block code NASBR 2018), or reserve your room online. Room reservations may be cancelled without penalty up to 14 days prior to the start of the Symposium. Parking: Hotel Parking for registrants is free. Looking to share a room? Check out the Roostmate Finder - a website setup by the NASBR Student Reps. to allow for attendees to find roommates and share a room. If you have a room and would like to split the cost, or if you are looking for a room to share, post it on the Roostmate site. This tool is available to all registrants, not just students. Licenciado Gustavo Díaz Ordaz International Airport (PVR) is about 1.8 miles (3 kilometers) from the symposium hotel. Attendees can arrive at the hotel, located at the Zone 1A/Marina Area by taxi (23 USD car for 1-3 passengers; 39 USD suburban for 1-6 passengers; 52 USD van for 1-10 passengers). The Transportes Puerto Vallarta company is no longer in business. You may use any of the available taxi services from the airport. Transportation to the hotel is also provided by the local shuttle company “Transportes Puerto Vallarta”, at a cost of 12 USD per person. Attendees interested in this service should send an e-mail to Mr. Fernando Sánchez to make a reservation. The Westin Resort offers shuttle service to the Lic. Gustavo Díaz Ordaz International Airport (6 USD), attendees should contact the resort directly to secure this transportation.